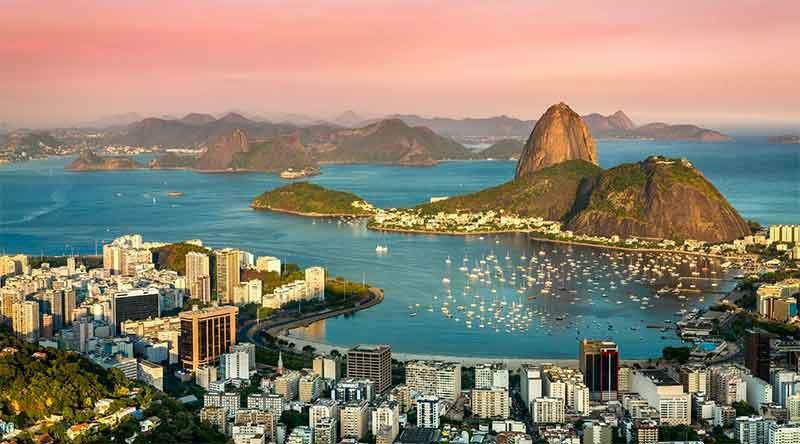 When it comes to ranking of the cities according to the most beautiful location, there is no way Rio de Janeiro is not enlisted among the finalists. 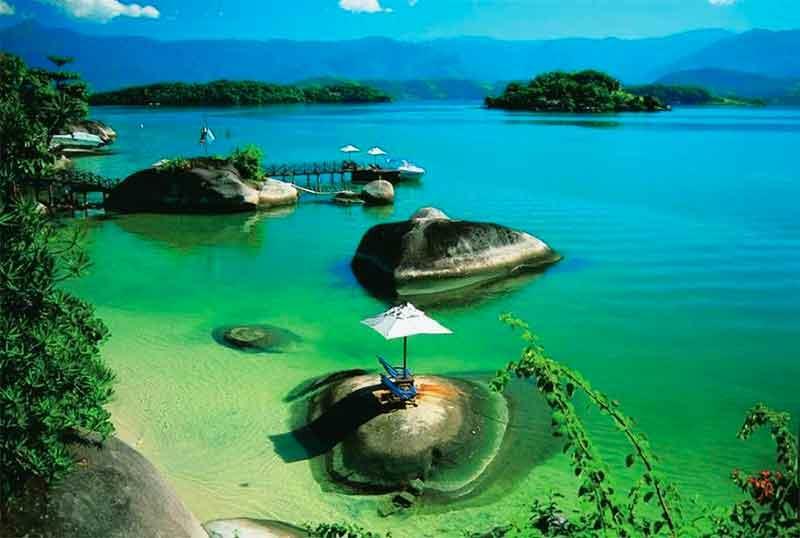 Having some of the most exceptional beaches paired up with a mild tropical climate Rio arguably looks like paradise on Earth. The city hosted two large sports events recently, namely the Olympic Games and the World Cup which made it even more popular and also which helped the city undergo plenty of renovation too. These also opened lots of possibilities for the city to become a safer place. This time around, I would like to introduce you to this wonderful and colourful city, Rio de Janeiro, which is the largest and most popular city in Brazil. Rio de Janeiro was founded in 1565 by the Portuguese conquerors of the land and it first served a fort city to protect the land. It’s a little-known fact that when France invaded Portugal the Portuguese Royal Family moved to Brazil and made Rio de Janeiro the capital of Portugal. Centro: this is where some of the most beautiful parts of the city are located, including the Santa Teresa old town, here is also where you can find the business centre of the city. Top attractions in this zone include the Municipal Theatre, the National Museum of Fine Arts, he Tiradentes Palace and the large Metropolitan Cathedral. Zona Sul: The South side of the city is the most famous as this is the place where you can get to find the world-famous Copacabana and Ipanema beaches and the large majority of the hotels. It is from here you can travel up to visit the huge Christ Sculpture and the Sugarloaf Mountain too. Zona Norte: This zone has become world famous for the fans of sports as it’s the zone of the huge Maracana Stadium. Also, here you will find the large City Zoo, the National Museum and the beautiful Quinta da Boa Vista Park. Zona Oeste: it’s the newest part of the city, this is where you can find the Barra da Tijuca which is a very popular beach for surfers. It’s also here you can get to find the Olympic venues too. Rio de Janeiro just like the whole of Brazil is shaped by all those inhabitants, whose ancestors arrived here either as immigrants, from all across Europe or as slaves from Africa. This eclectic mix of people, alongside the indigenous inhabitants had come to create one of the most colourful races and cultures in the world. Rio is real dance and music capital, where there are parties every night especially during the summertime. The large majority of people in Rio de Janeiro are Roman Catholic and religion is taken pretty seriously here, it’s still a part of the general lifestyle. As a gift of that, Rio is full of lovely churches, some specifically for the white and some specifically for the African-Brazilian citizens and some for everyone. Rio is colourful and chaotic at the same time, there is always something to do and to see here, but let me represent you to some of the best and most beautiful places you shouldn’t miss when in Rio. 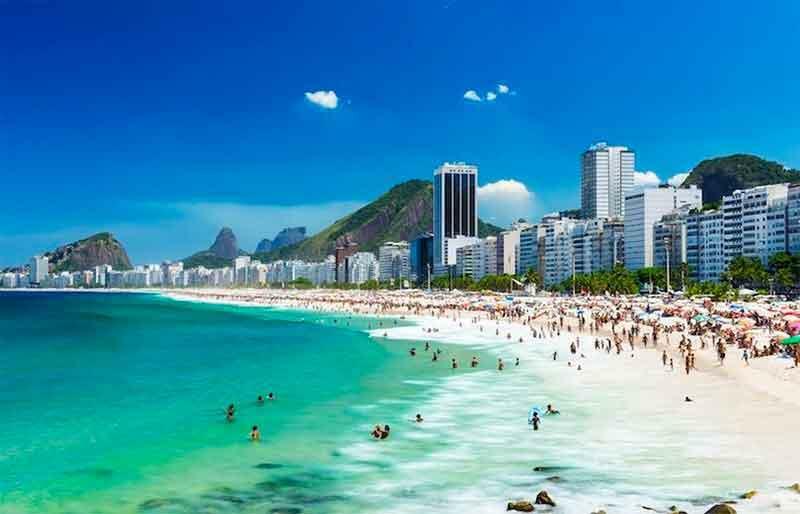 Of course, when in Rio, there is no way you wouldn’t go to its top beach, the Copacabana which is unfortunately so incredibly packed with people that it would soon inspire you to look for other beaches, which are less touristic. Nonetheless not even the crowd can take away the beauty and the fantastic location of this 4 km long city beach. Copacabana is located in the very downtown, here is where you can find the best bars, restaurants and hotels too. Being almost as famous as the Copacabana, Ipanema is the other great city beach of Rio, basically a continuation of the Copacabana, leading you to a more artistic and avant-garde neighbourhood which is also packed with restaurants, art galleries and it also has a very popular antique flea market which is held here every Sunday. Sunday also gives way to the Feira de Artesanato de Ipanema, an arts celebration, which is held here every Sunday. 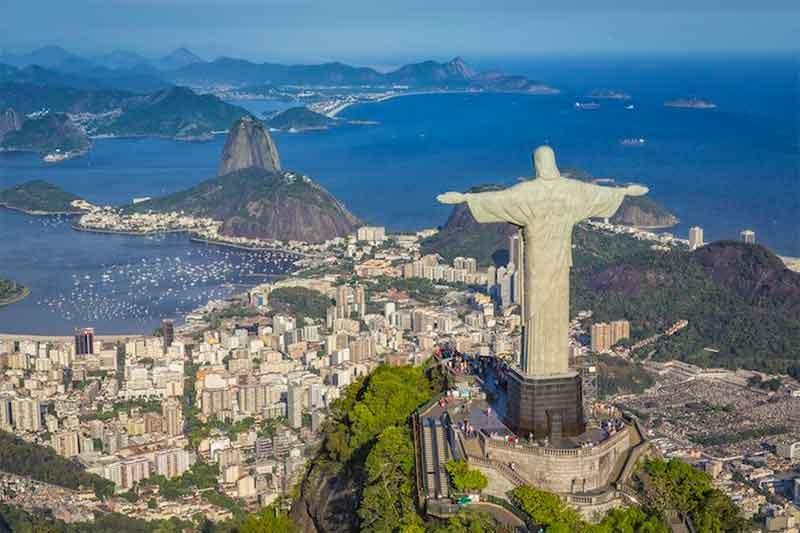 A signature attraction that’s also the symbol of the city, the giant Christ statute, situated on the Corcovado Mountain (“hunchback” in Portuguese), overlooking the whole city, would not only give visitors a spiritual boost, it also offers some of the most spectacular views to the whole city. The mountain is an integral part of the Tijuca National Park which is a protected natural area. The statue was built between 1922 and 1931 and the Art Deco and was done by Paul Landowski, a French-Polish sculptor. The giant sculpture is 30 metres tall and weighs a whopping 635 tons. Not many people know that the huge sculpture also gives home to a chapel and lots of weddings and baptism take place here. 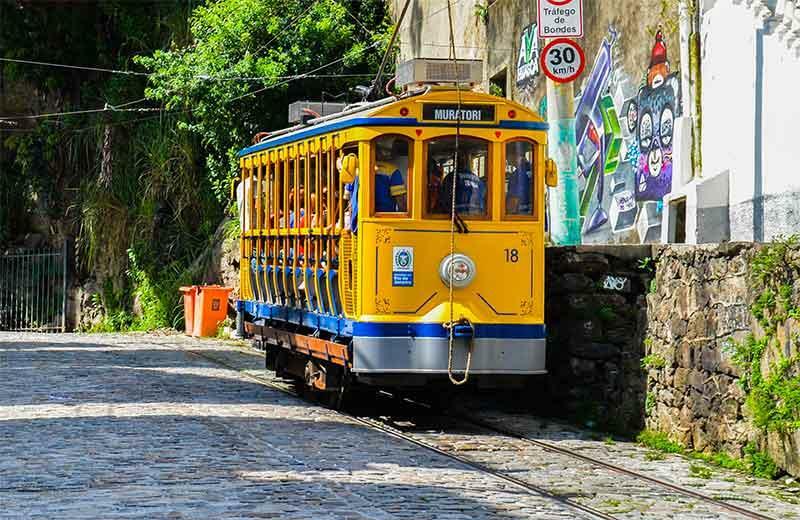 You can come up here with the Corcovado Rack Railway that starts up at the Rua do Cosme Velho and those who are braver can also go up there using a cable car. There are plenty of guided tours, some starting early in the morning, to avoid big crowds. I suggest everyone to take the tour to learn more about the statue, the culture of the city and its history. The place is also an important part of Catholic pilgrimage tours. The landmark cliff of Rio de Janeiro got its name thanks to its shape which resembles a natural sugarloaf, not to mention the fact that Brazil is famous for its huge sugarcane industry. Sugarloaf is 394 metres high. The best way to visit is by cable car, which starts from the Praca General Tiburcio going up to Morro da Urca and take a second cable car from there to reach the top. This excursion would also make you learn more about the city and its history especially if you visit the nearby lying Fort Sao Joao which was built by the Portuguese conquerors in the 16th century. All those who picture Rio as a concrete jungle would find the Old Town district of this huge city a very pleasant surprise. 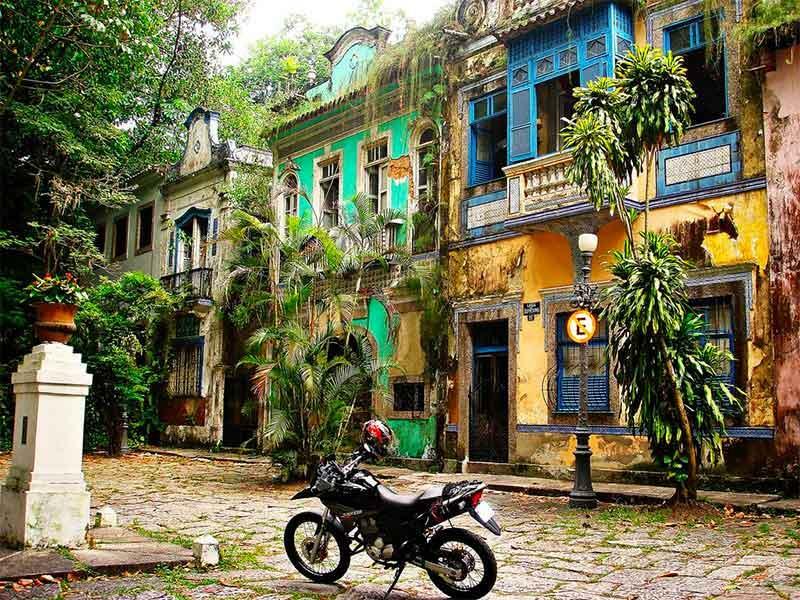 Surrounded by picturesque old colonial houses, the very centre of Old Town is called the Largo do Boticario and it’s among the top-rated tourist attractions of the city offering tons of beautiful photo spots, preserving history in its most beautiful ways. 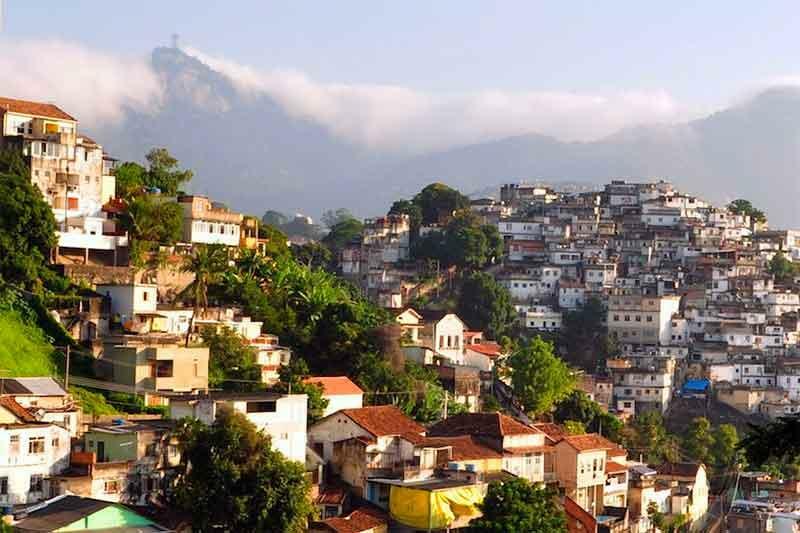 Don’t miss out on the Morro da Vista Chinesa Pavilion, visit the jungle like Municipal Park and if you would like to see some beautiful arts don’t miss out on the Museo do Acude. Situated a few minutes away from the Old Town district, the beauty of the old Botanical Garden is really unhindered. Founded as early as 1808 this is not an ordinary park, as it’s an UNESCO biosphere reserve and it also contains tons of beautiful sites, such as the Japanese Gardens or the lovely Orchidarium located in an antique greenhouse that was built back in the 1930s. In addition, the park is packed with beautiful species of parrots, hummingbirds and other birds which you can otherwise only see in cages or in the zoo. 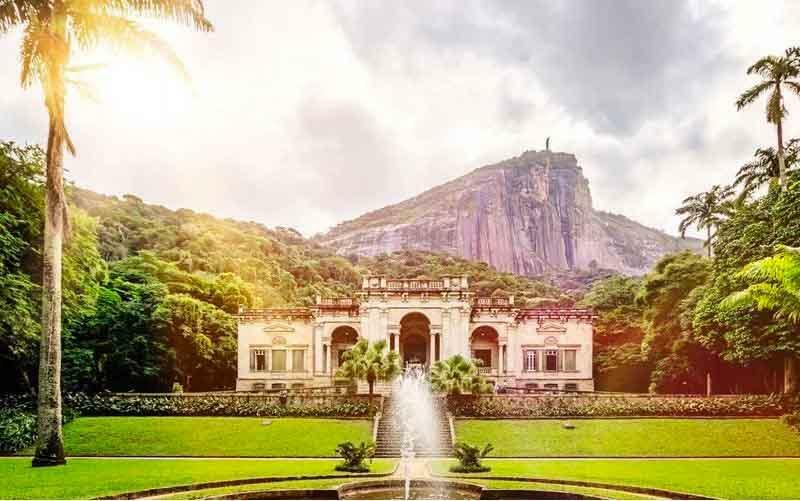 The botanical garden contains over 8000 different species of plants and it’s arguably one of the most beautiful places you can get to see in Rio. The garden is open from 8 am to 5 pm every day. Rio is pretty abundant in old areas in its central district which have been well preserved, and which have also been recently renovated to attract more tourists, thanks to all the international crowds visiting here for the Olympic Games and for the World Cup. One of these recently renovated lovely looking neighbourhoods is the Santa Teresa, which gives place to one of Rio’s most popular photo spots, the coloured stairs. Lapa Neighbourhood has great bars, discos, restaurants and samba schools. 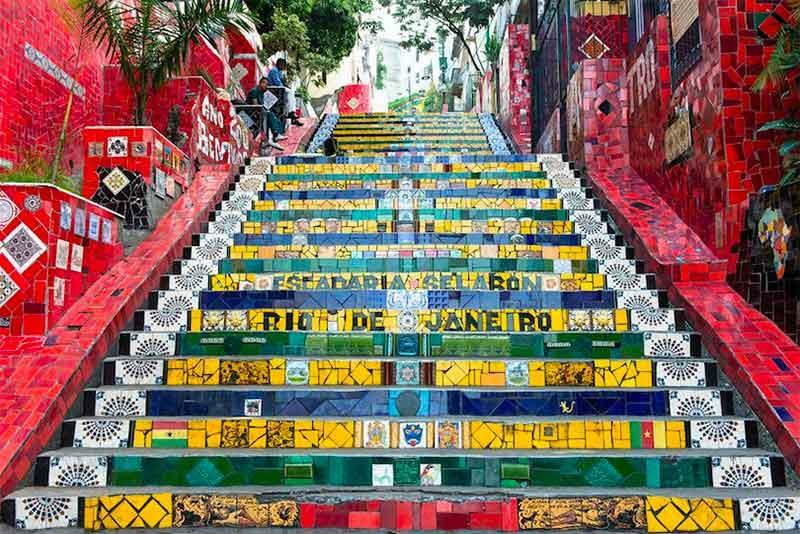 The beautiful red tiled steps, which make the coolest photo spot for tourists in fact connect the two neighbourhoods Lapa and Santa Tereza. This is another picturesque park you shouldn’t miss visiting as it’s antique style meeting the jungle, which surrounds the main building or pavilion of the park. The park is by the foot of the Corcovado, with stairs and route leading up to the Christ statue, so if you feel adventurous and have time, you can try to climb up from here. There are organized hiking groups who start their excursion from here. The old building that crowns the park also serves as an art school and hosts a lovely café. There is only a few of such unique and beautiful buildings which are so outstanding in characteristic that they are in fact a must-see even if only from the outside. The Municipal Theatre was built in 1909 with its design based on Opera Garnier in Paris. 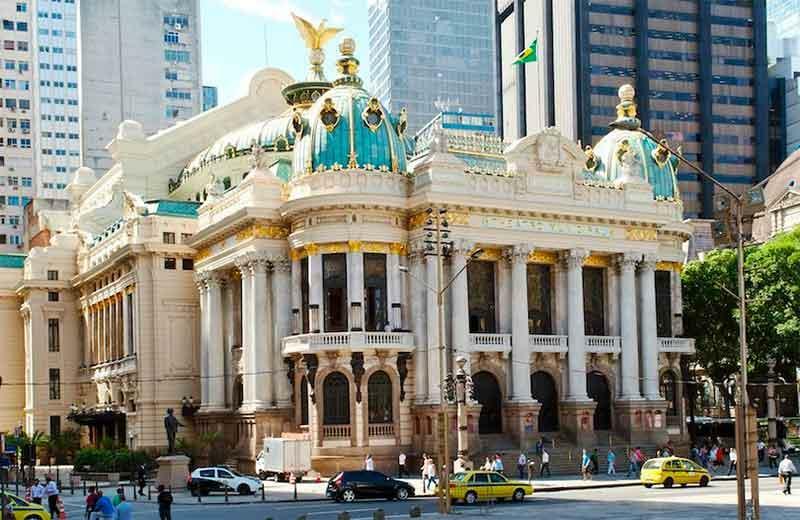 In its style is neoclassical, but somehow it includes both the European elegance and that eclectic tropical feeling and lifestyle which has really made this building perfectly mirror the soul of Rio. It’s in fact a must-see building and if you are so lucky to even find a venue which you can visit, then you are even luckier. 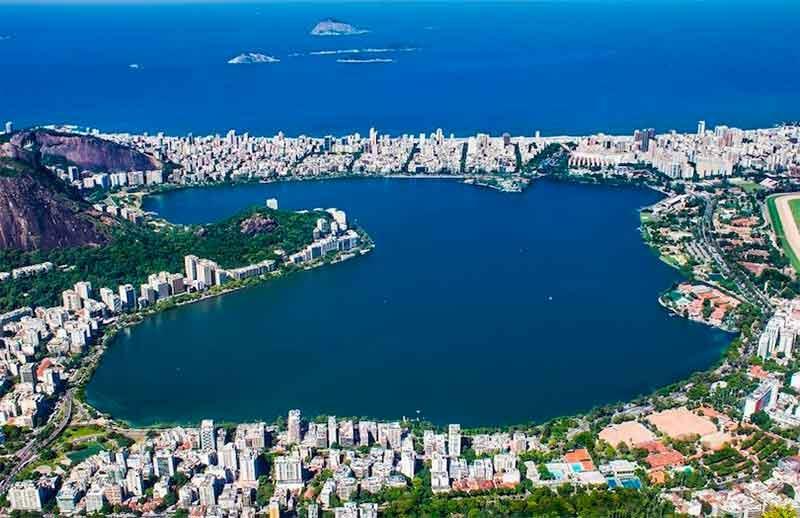 A beautiful natural lagoon located in the Southern zone of the city, it offers spectacular views to Ipanema, Corcovado Peak and to the Leblon Beach. The lagoon has a beautiful walking and cycling area around it. This is a rich neighbourhood and it has several stores, walking streets and shops around the lagoon. if you really want to experience the soul of Rio, you shouldn’t miss out on riding the little yellow tram, which also goes through some of the most beautiful and most romantic neighbourhoods of the city. lasting for two weeks the largest street festival in the world is held yearly this is also what made Rio de Janeiro a world-famous tourist spot. 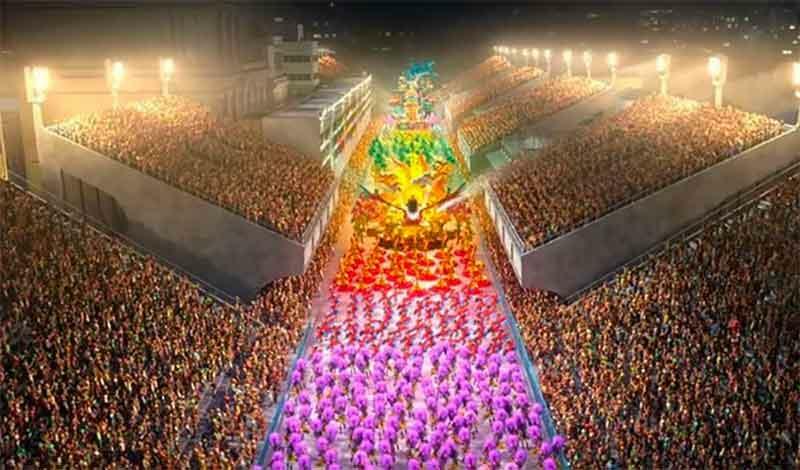 The marching of the samba schools from all around the city is a spectacle you just shouldn’t miss out on. to discover Rio with the help of a local guide. It’s much more fun than going alone. There are tons of walking tours taking you to the most beautiful historical parts of the city. Check out a Samba School! Samba City is open every day and it caters exclusively for tourists, which means they speak English and can help you learn some pretty cool moves! cable cars are trademark of Rio and if you are not afraid to ride them, then it’s an experience you shouldn’t miss out on. the national food of Brazil and the famous cocktail the caipirinha. 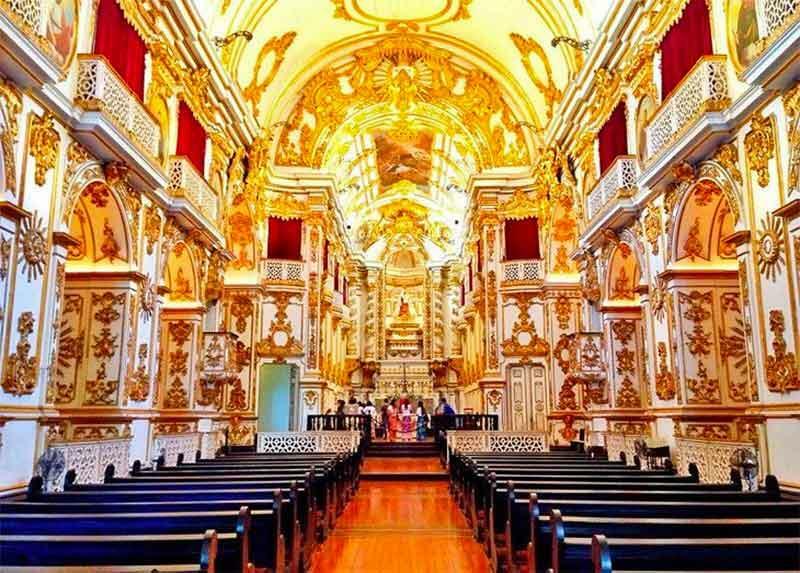 don’t miss out on visiting some of the most beautiful churches of the city the Nossa Senhora do Carmo, Sao Francisco da Penitencia or the Sao Bento churches, with each one of them looking absolutely abundant, perfectly reflecting the strength of faith of the locals and are all artistically beautiful in their own way. 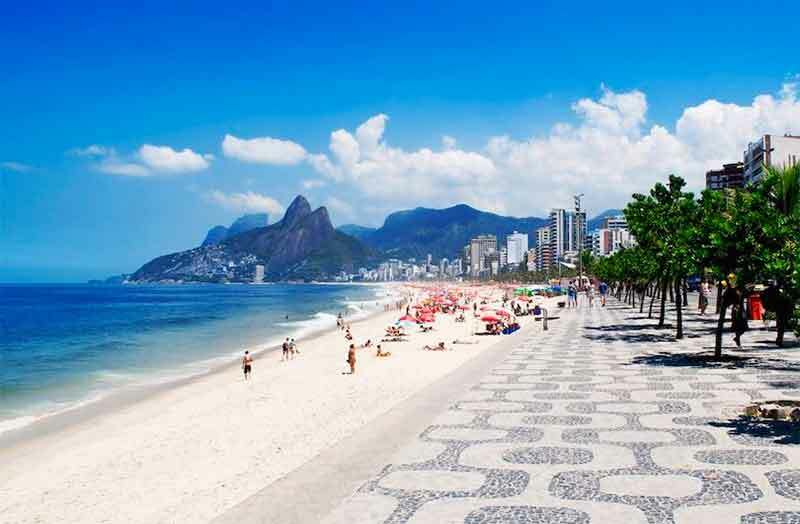 Rio is extremely rich in beaches and as such it has tons of different beaches, some for swimmers, and others for the families and some for surfers. Go on a panoramic flight! There are several reputable businesses offering flights for tourists to see the whole area of Rio from a bird’s perspective. 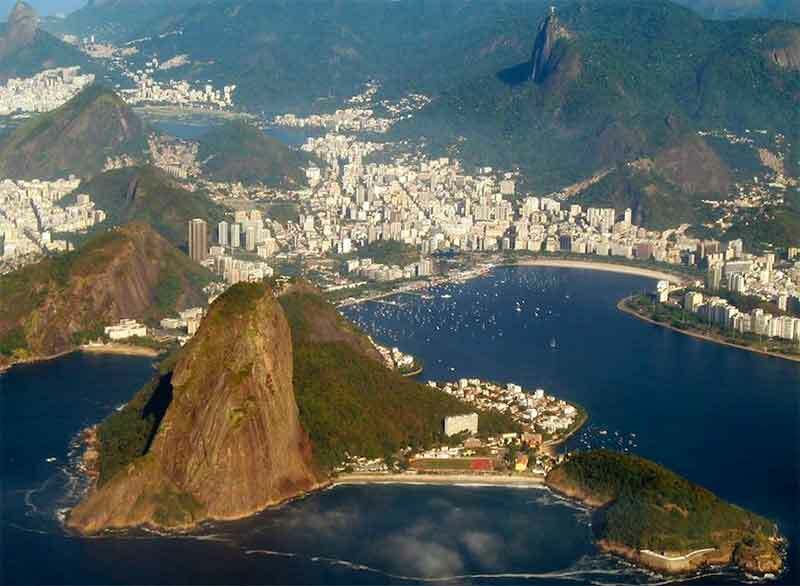 Check out the website of Rio by Helicopter. Look for a good Rodizio in restaurants. This is an all you can eat service and it’s generally cheaper and better than having a regular meal. drink as many natural Guarana and Acai as you want with both fruits being stars in health-conscious circles. In addition, they are way cheaper there where they naturally grow then at your home supermarkets. there is no better way to get to learn about local cultures and have great interactions than cooking together. Apart from the lovely old tram which you ought to try, Rio has a well-developed Metro system and a huge bus system which mean the cheapest ways of transport. Most tourists are advised to take cabs to avoid getting lost. The normal cabs are yellow, the cheapest and more trusted Radio taxis can be white, green or blue, and their price is fixed. Special service cars are often organized by hotels or program organizers and these are not labelled as taxis. Always negotiate the price before taking one of these. If you want to keep a low budget, you can ride the local buses which generally go every 15 minutes. If you want to use public transport, get a RioCard to save you time and money. Be aware that there are so many lines going in so many directions that it may be more complicated to go by bus than going with a taxi. Both the metro and bus lines are easy to find online. Another good alternate is to rent a bike, through a well-known system that’s called Bike Rio. Walking is another great option. it’s a close-by town which take a 15 minute lovely ferry ride to reach. In addition, it has some of the best views of Rio across Guanabara Bay. 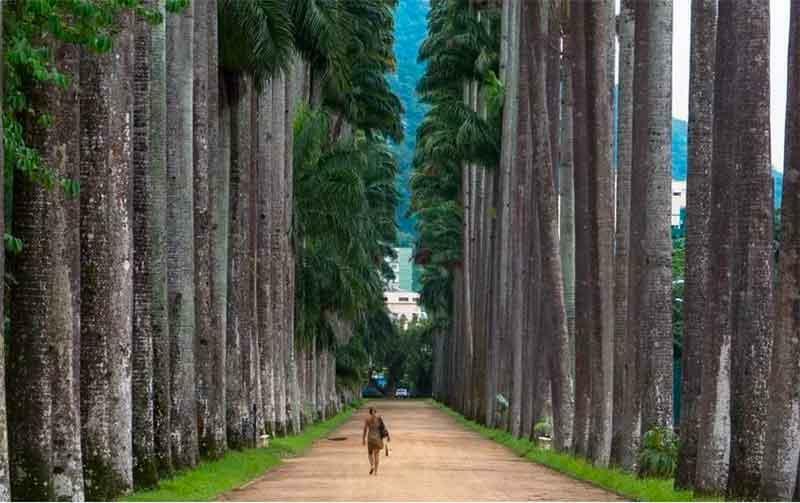 if you stay in Rio for a little bit longer, then don’t miss out on this day trip taking you to one of the most picturesque landscapes the country has to offer. if you want to see a real natural landscape with jungle, waterfalls, rivers then this is a fantastic trip for you. Rio has a well-known social problem having a huge gap between rich and poor. There are tons of people who live very poorly. This also means that pickpockets and robberies are common. Try always to go in groups. Although kidnappings are not common any longer, it’s better to be safe. Despite poverty people are generally very kind and nice but be careful with those who you don’t know and respectfully decline invitations. This is my city, I love my city, Thank you for providing excellent informations. Exploring Bangkok - What to do there?